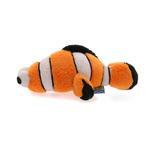 Cats Love Fish so why not give them a really cute one with the Sea Life Catnip Cat Toy Clownfish! 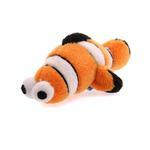 Your cat will go crazy for this cute Clownfish Catnip Cat Toy! High-grade, first quality catnip, certified organically grown in the USA. No fillers 100% fresh catnip. Poly fill stuffed with a catnip packet inside. Plush toys. Making cats happy.